Many boat covers and tents start to leak after a couple of years. The original impregnation of boat and tent cloth is soon affected by UV radiation. Dirt and bird droppings bond more easily to a poorly protected boat cover. Condensation can easily lead to mould developing on the inside of a tent. Without extra protection, boat covers and tents are highly susceptible to mould and algae. 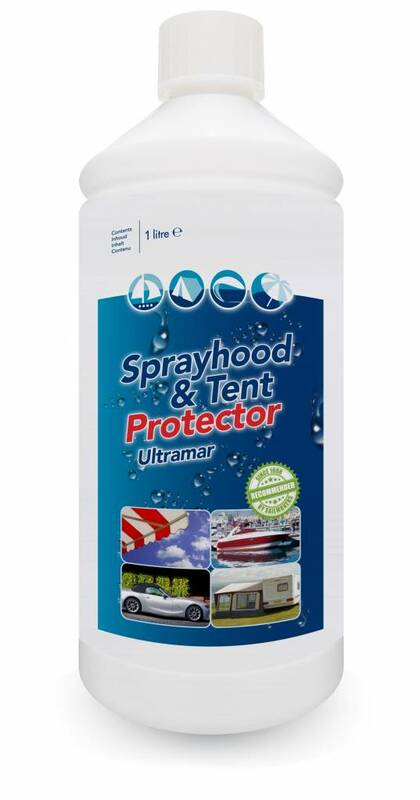 Ultramar Sprayhood & Tent Protector makes the cloth of a boat cover, tent, convertible top or awning perfectly water and dirt repellent. Mould, dirt and algae will not bond to the cloth as easily as before. Regular impregnation will extend the life of the tent cloth. Easily applied with a paint roller or sprayer. 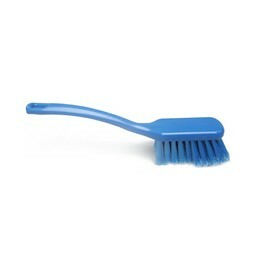 It is water-based and can be used anywhere. Developed by Ultramar, sail and tent cleaners. The cloth stays clean, waterproof and dirt resistant longer. The cloth becomes less susceptible to mould and algae. For impregnating and waterproofing a tent, boat cover, convertible top or awning. For impregnating backpacks, boat cushions, carpet or skiing and sailing outfits. For impregnating and protecting untreated teak wood. Also treat the inside of the tent for better protection. Treat a new tent, awning or boat cover immediately when first used. Prevention is better than cure! 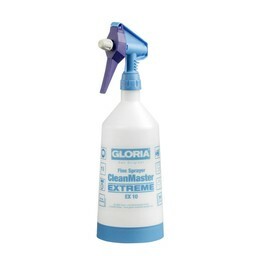 Safe for use on almost any type of cloth. Read the instructions on the packaging before use. The cloth to be treated must be clean and dry. If necessary, clean first with Ultramar Power Cleaner and Ultramar Sprayhood & Tent Shampoo. 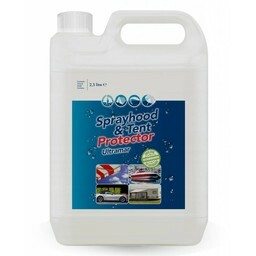 Apply Ultramar Sprayhood & Tent Protector liberally and evenly. Do not leave Protector to dry on windows or, for example, on the deck, but remove immediately.